What does “rich” mean to you? To some it means financial wealth; to others it means amassing positive experiences with loved ones. To help people discover what rich means to them, beer brand San Miguel created a multi-sensory experience using RFID technology. The activation consisted of 4 rooms, each focused on stimulating one of the senses, where guests were provided a RFID wristband to help track each experience. In addition to helping attendees find out what their “rich” is based on their experience in each room, the wristbands were also loaded with drink and food tokens. At the end of the 4 rooms, guests were presented with a personalised graphic of their results and enjoyed drinks provided by San Miguel. Elevate Staffing enlisted an elite team of brand ambassadors who provided guests with a memorable event experience. 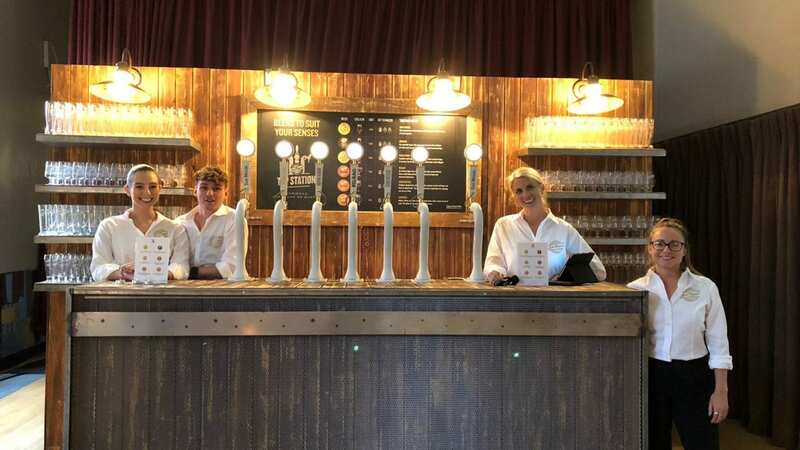 In addition to staff who helped provide floor and registration support, a team of bar staff were on hand to use attendees’ personal profile to match them with the perfect San Miguel beer.